Beat the thick curd and add salt,now add the ground paste mix it well. Pour this tempering into the curd mixture and mix. Serve it with steamed hot rice. You can add green chillies instead of red chillies for grinding. Try to use sour curd for this recipe to reduce the bitterness of methi. Add salt and the ground paste to the curd mix and keep it aside. Now add the onion and banana stem saute for a minute and switch off the stove. Usually banana stem is eaten raw so do not fry too much. Cool and add it to the curd mixture mix it well,garnish with curry /coriander leaves. Mix all above ingredients & serve it cold. 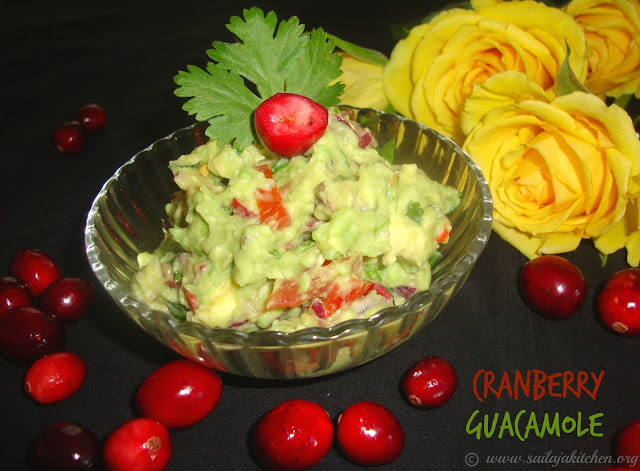 Serve it immediately with tortilla chips. Peel the skin from the mango & chop it into medium size. Pour water in a pan add the mango,salt & turmeric powder.Cook till the mango pieces are soft. Mash the pieces slightly add the jaggery & cook till it thick. 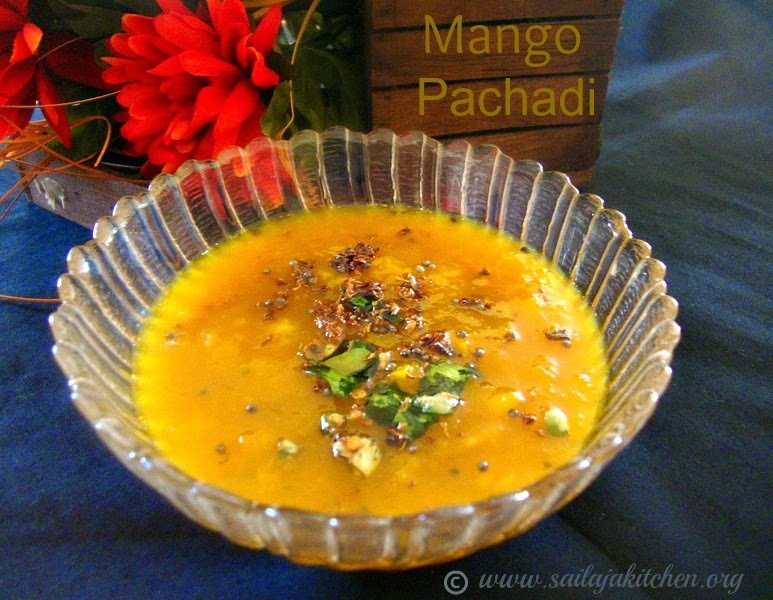 Pour it into the mango pachadi,mix & serve it as a side dish. a) Add jaggery according to your sweetness. b) Choose the mango that is slightly ripe. Grind the above ingredients to a smooth paste.Add 1 tbsp of curd while grinding instead of water. Beat remaining 1 cup curd in a bowl now add the ground paste. 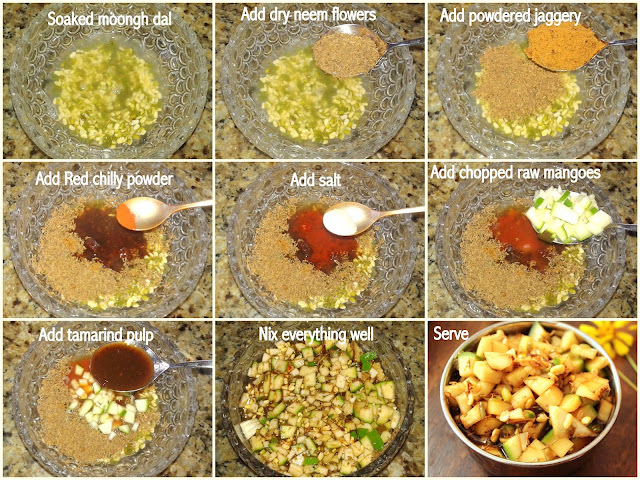 Serve it cold with little chaat masala sprinkled on top. Best served as a dip or can be served with any flavoured rice. Beat curd with salt & jeera powder. Wash & cut the okra into thin circles. Heat oil in a pan & deep fry them in batches till crisp.Keep it aside. Pour the tempering into the curd mixture,add the fried okra & chopped coriander leaves. Mix well & serve as a side dish for rice. I have sprinkled red chilly powder just for decoration. Switch off the stove & add the grated carrots in the tempering & mix it well. Cool the mixture completely,add the curd,salt & coriander leaves. Mix & serve cold with paratha or rice. Mix the ground paste into the curd. Pour this tempering into the curd mixture,mix & serve. 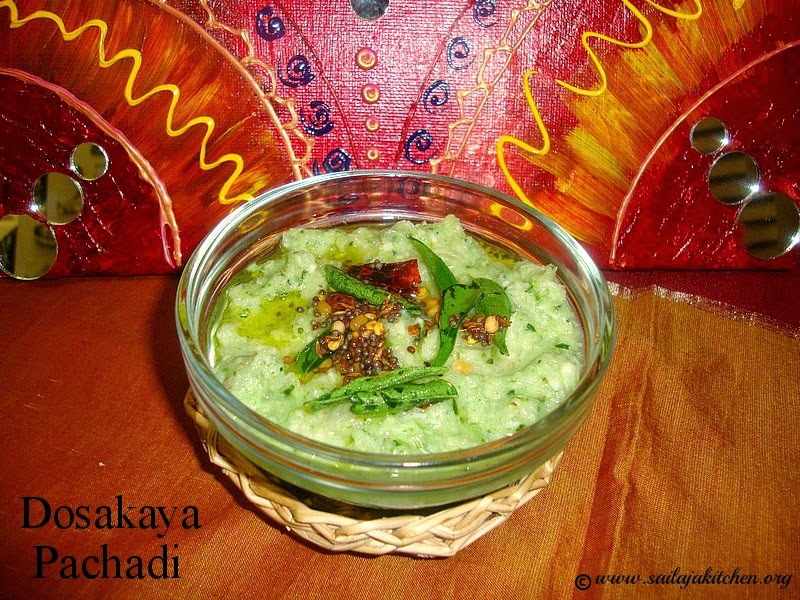 Take 1tbsp of urad dal & dry roast till light brown in colour.Do not burn them.Powder them to a smooth fine powder. Today I have dry roasted ready made urad dal powder till light brown in colour for the above pachadi. Mix this powder with curd,butter milk,salt & hing,make sure there are no lumps. Pour this tempering into a pachadi garnish with coriander leaves. Mix & best served sambar/kootu/kuzhambu varieties. a) Chopped green chillies & curry leaves can be added while tempering. 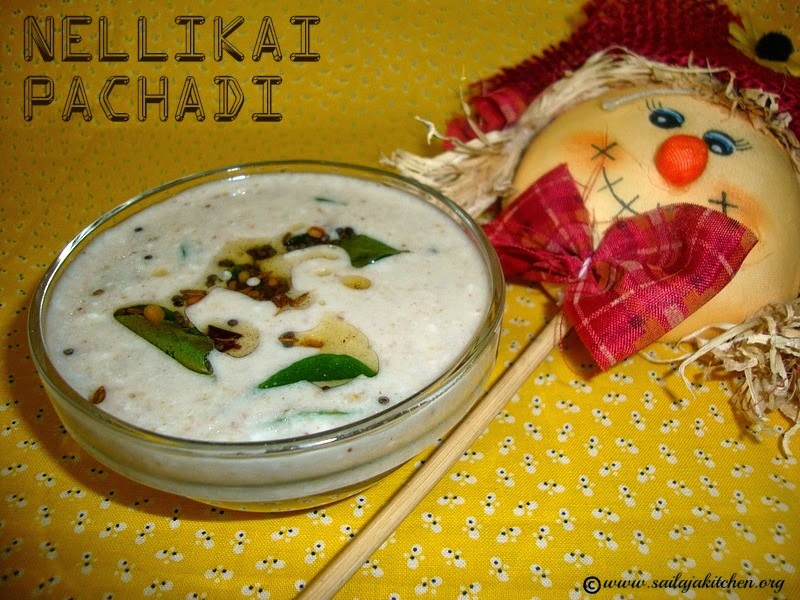 b) If your pachadi is thick dilute with water or thin butter milk. Grind coconut,green chillies & salt to a coarse paste. Now add the dosakaya & grind to a coarse paste.Do not add water while grinding & do not blend it to a smooth paste.Transfer to a bowl & mix in the lemon juice. 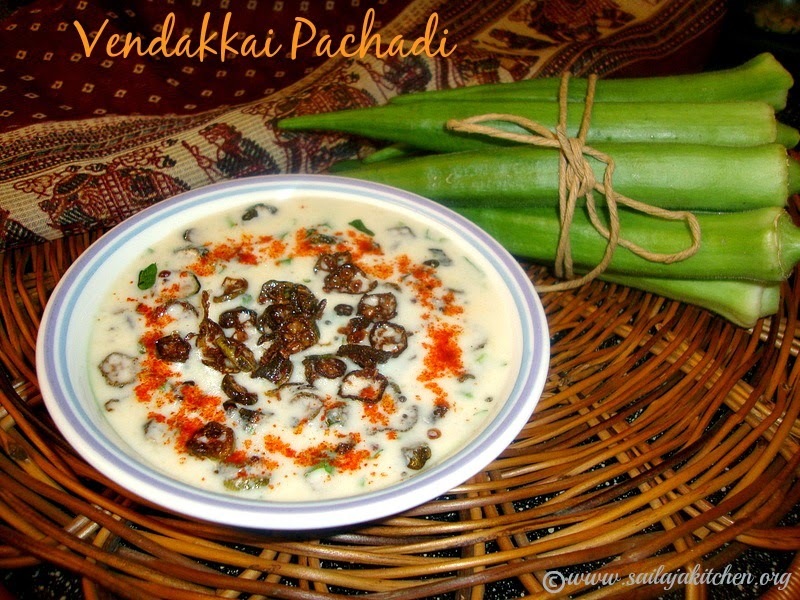 Pour it into the ground pachadi,mix & enjoy with rice,Dosa or Idly. a) You can mix some curd & have it has raita with pulao or biriyani. Heat oil in a pan fry the dhas till light brown. Now fry the goosberry,chillies,ginger,hing & coconut fry for 2 min.Switch off the flame. Cool the mixture & grind it to a smooth paste. Mix 1 or 2 tsp of the mixture into the curd, pour the tempering mix it well. Ground paste can be stored in fridge for 3 or 4 days.When needed mix with curd & serve. The mixture can also be mixed with rice & eaten like thogayal. This will be a bit sour so add more green chillies if you want. Beat the curd with salt,pepper powder,jeera powder & black salt. Add the chopped spinach,mint & green chillies,mix it well.. 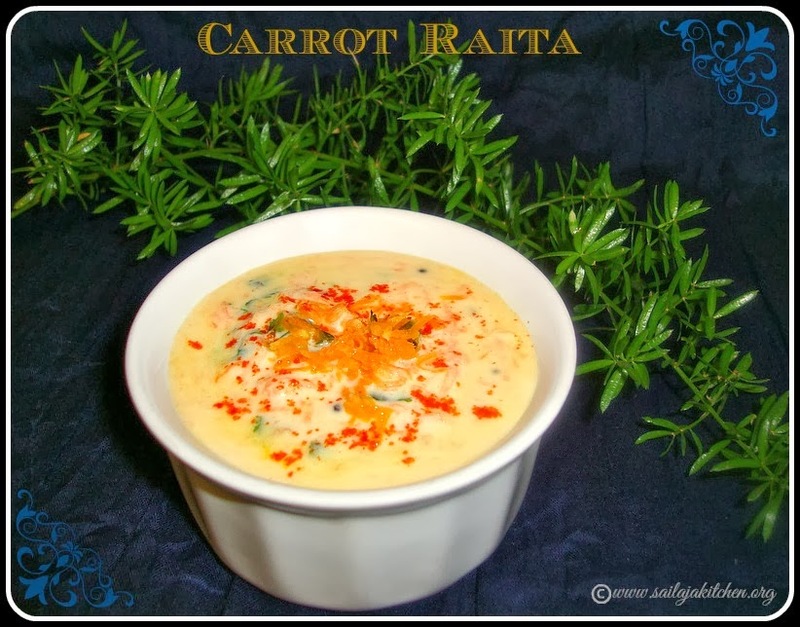 Serve the raita cold with any flavoured rice or roti. Beat the curd with salt. Add the mashed brinjal & ground paste to the curd,mix it well. Heat oil in a pan & temper it with above ingredients,pour it into the curd mixture. Mix & serve them with rice or roti. Soak moong dal for 20 minutes in little water. Mix all above ingredients together to the soaked dal,do not drain the water,mix it well. This pachadi will taste sour,bitter,sweet & spicy. You can use dried neem flowers if you don't have fresh flowers. Some people add chopped banana,coconut,chopped green chillies. Heat oil in a pan & temper it with above ingredients. Now add the grated beetroot & saute for a minute,switch off the stove.Do not over cook the beetroot ,it needs to be crisp & crunchy. 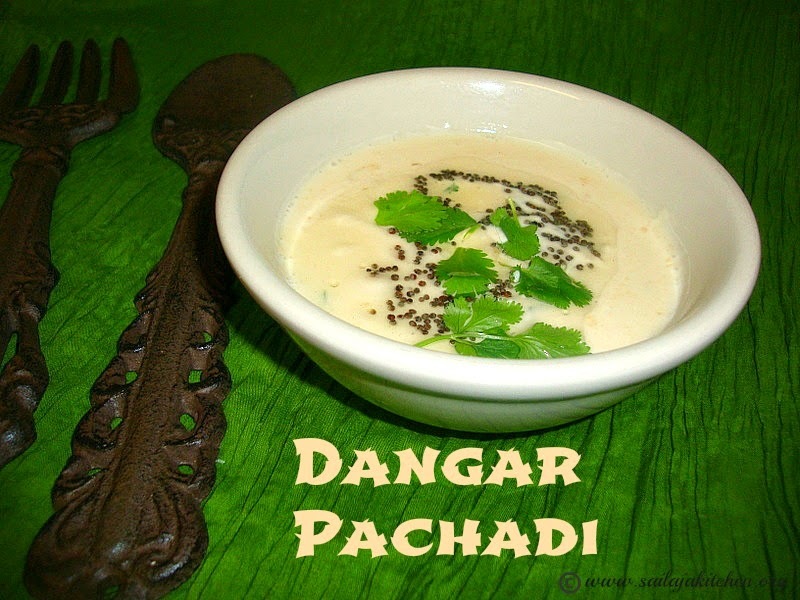 Cool the mixture completely add the salt & beaten curd.Mix it well,garnish with coriander leaves. I love to serve this raita cold ! a) Always use thick curd while making any kind of raita.If your curd is watery,tie it in a muslin /cheese cloth.Hang it for 10 to 15 minutes to remove excess water,then use the curd. b) Red chillies can be replaced instead of green chillies. 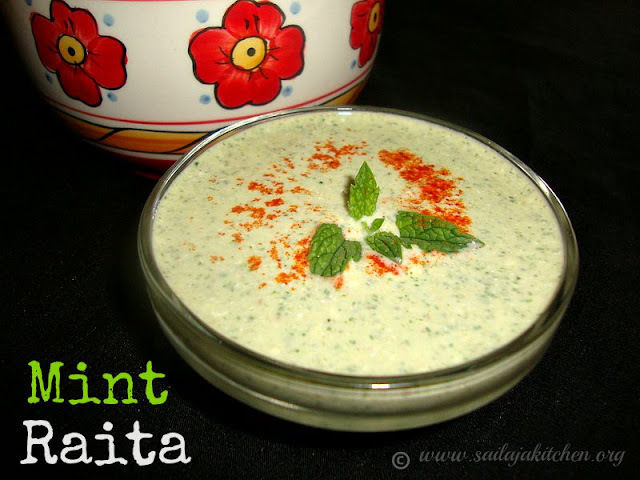 c) This raita can be served with rice or paratha/roti. Beat curd with black salt,chaat masala & sugar.Grind parsley,green chillies,salt,coconut & jeera to a coarse paste.Mix this into the curd.Serve it cold. Salt,Red chilly powder,Chaat masala,Black salt & Roasted & powdered jeera/cumin powder- add according to your taste. 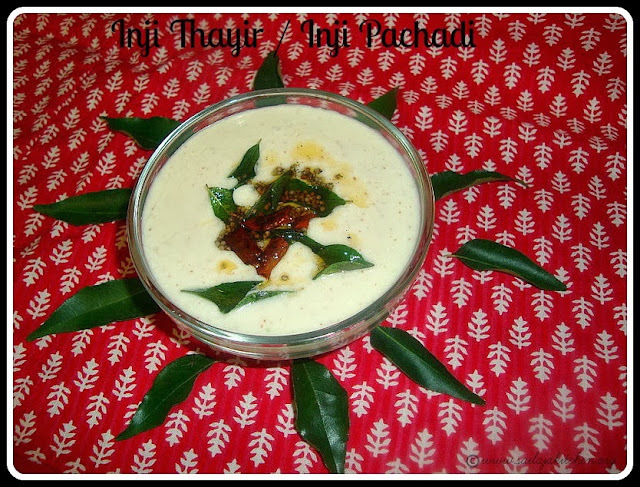 Beat the curd with all the dry ingredients,pour it on top of the pineapple & coriander leaves.Mix well & serve it cold. Heat oil in a pan & temper it.Add the apricots,mango & salt,cover & cook it in low flame till its soft.Now add the brown sugar & red chilly powder,cook till the pachadi is semi thick.Switch off the flame & serve it.